The plan illustrates the full phased maximum development of the property and how the buildings is angled on the site to allow full North frontage for optimum climatic conditions. The living area forms one large open plan space with central double-sided fireplace and large stacking folding doors leading out to the patio deck and pool, with covered braai area. 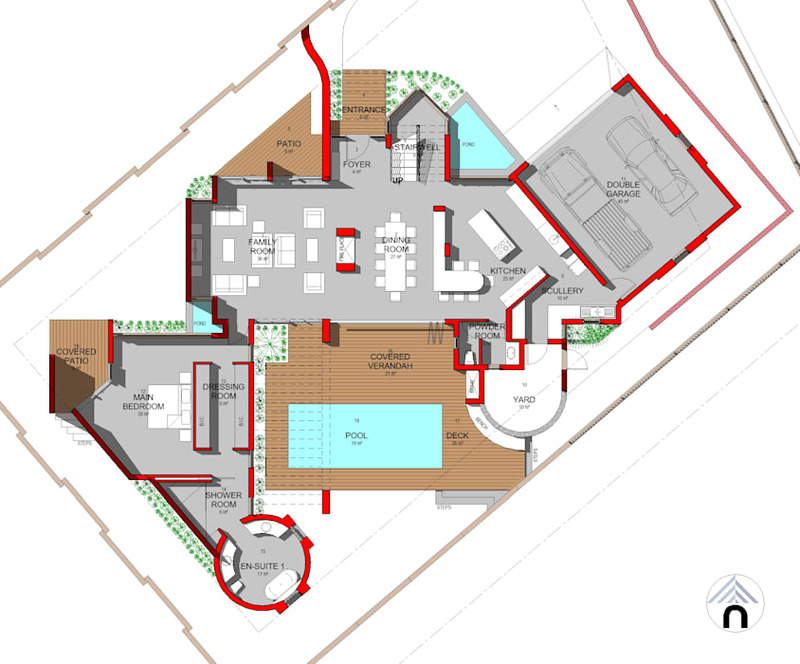 The final phase development of the Main Bedroom Suite, form an interesting arm wrapping around the outside entertainment area further improving privacy from neighbouring properties. The main en-suite is designed in a circular shape, linked via a triangular shower room that connects to the main bedroom itself.